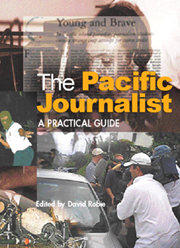 A former Solomon Star editor has provided a rare insight into the political pressures facing news media at the height of the 1998-2003 ethnic war in the Solomon Islands and has called for more conflict and peace reporting training for Pacific journalists in a new book just published. Attempts to control political reporting on Tonga's state-owned broadcaster have been criticised around the Pacific as heavy-handed and unnecessary. Panel includes David Robie and PINA president Joseph Ealedona. The Jim Anthony report and the other side of the Fiji media inquiry - the truth about the tribunal proposal. 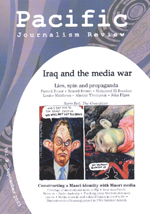 Former Sydney Morning Herald correspondent in Jakarta Louise Williams, now media educator, has critiqued an article by former Australian prime minister Paul Keating in the Jakarta Post. East Timor is at risk from an upsurge in civil unrest unless it carries out reforms of its police and military, a US-based think-tank has warned. The International Crisis Group says the country needs to decide whether the prime minister or president has control of the security forces. © 1996-2008 Asia-Pacific Network. All rights reserved.